I lived in and represented Little Village for many years. I know the work of both candidates well, and having said that, there is no comparison between the leadership skills and competency level of the two. Mayor Emanuel is far and away the best choice to continue to move Chicago forward and honestly lead the City through tough times. 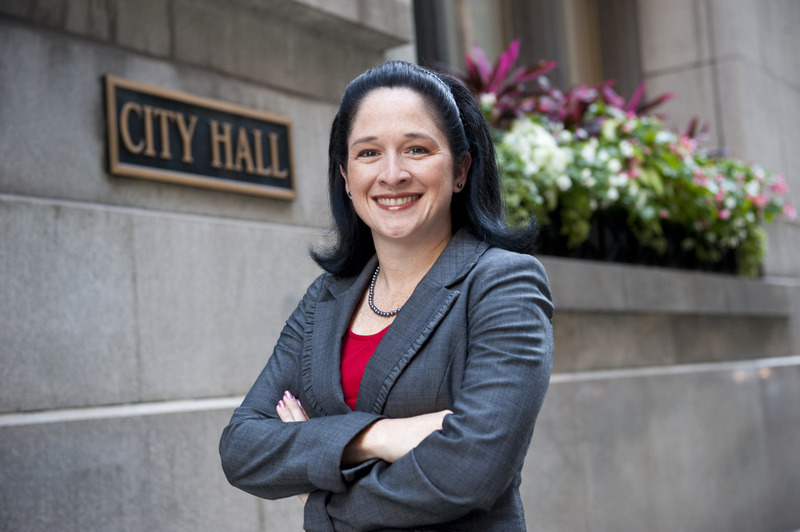 Garcia is woefully unprepared and ill-equipped to face the challenges ahead for the Mayor. You’re right that I’m actually exerting my independence by standing firm in my conviction to support the best and most qualified candidate for the position, regardless of race. The stakes are too high to play games in this race and vote along ethnic lines, when doing so would mean electing a sub-par candidate and jeopardize the welfare of the city that I love. Trust me, it would have been much easier for me to stay on the sidelines or go the other way, just to appease people or deflect haters, but that’s not what leaders do. I have always taken pride in standing for what I believe in, and that’s not about to change now. And as you know, my office is independently elected. I did not seek the Mayor’s endorsement in either of my runs for City Clerk. I don’t need him to run and win my seat. Also, I’ve stood up to the Mayor in the past and will do so when necessary in the future. But this election has a clear choice, which was made even clearer in tonight’s debate. There was only one candidate who had what it takes to be Mayor at that debate table tonight, and that was Mayor Emanuel. Honestly????? You lose credibility when you say Rahm would be honest. How many lies has he told in his four year term? Somehow he is best fit to tackle the tough problems Chicago faces. Neither candidate is a Economics or Public Policy Professor from Harvard. They both have advisers for these complicated matters and ultimately will have to make tough decisions. Ms. Mendoza, you lost some respect with your endorsement. The fact that you participated in a Rahm PR stunt left me feeling like you are just another politician and no longer a respected independent.